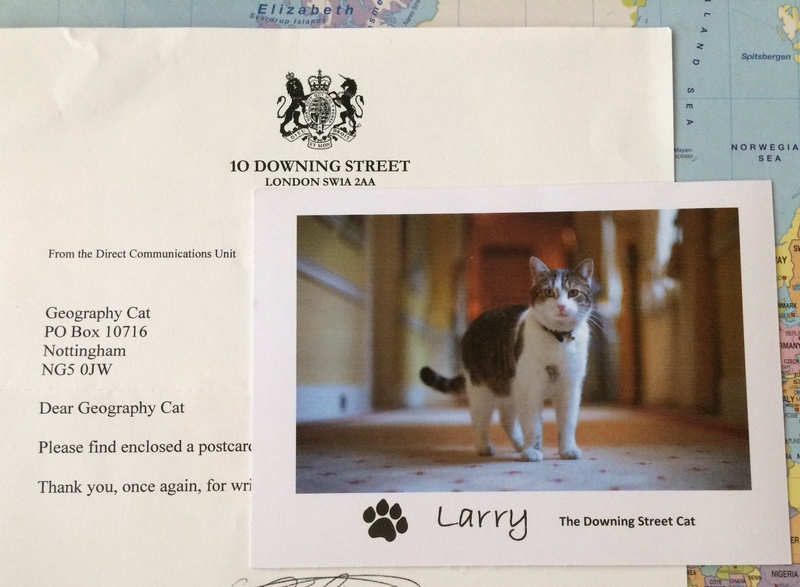 Geography Cat is grateful to fellow feline Larry for sending this lovely card from his own home address, Number 10 Downing Street, London. This postcard from the corridors of power has inspired Geography Cat to explain trading blocs. This is something you need to understand in GCSE, A level Geography and, of course, the University of Life. First of all, a bloc is not a block. A bloc is a group of people, or a group of countries that have a common aim or interest, whereas a block is something solid you can make a stack out of. Having access to a trade bloc increases the potential for trade. As a result this also increases the potential for economic growth and increased social well-being for the citizens of that country. A trading bloc is an arrangement that member countries make between themselves so that there can be free trade between them. Free trade means that there are no tariffs and quotas imposed on imports and exports within the trade bloc. A tariff is a tax paid on certain imports/exports, meanwhile a quota is a limit put on the number, or monetary value, of goods and services a country can import or export during a particular time period. Therefore quotas regulate the volume of trade, while tariffs affect the prices paid by consumers. A free trade area has no tariffs or quotas restricting trade between members of the bloc. A customs union has no tariffs or quotas restricting trade between members of the bloc, and all members impose a common external tariff on imports from outside the bloc. A common market has no tariffs or quotas restricting trade between members of the bloc, and all members impose a common external tariff on imports from outside the bloc and allows the free movement of people and capital within the bloc. An economic union has no tariffs or quotas restricting trade between members of the bloc, and all members impose a common external tariff on imports from outside the bloc, and allows the free movement of people and capital within the bloc, and has common policies on other sectors such as agriculture, industry, regional development (sectors affected by the rest of the trade agreement). Concise, easily understood definitions. Well done Geography Cat! I actually did not clearly understand the differences. Thanks I now understand, excellent lesson! Once again, a stirling job done! I’m impressed! The Downing street cat sent a greeting to you!